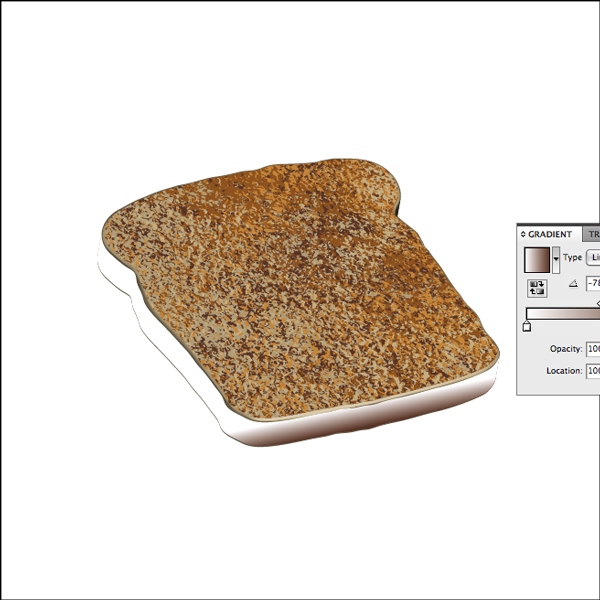 In this tutorial, we are going to be looking at how you can create your own toast illustration in Adobe Illustrator. Well, mostly in Illustrator anyhow. One of the steps will actually require us to flip over to Photoshop to prepare a photograph, but other than that, the entire thing will be done in Illustrator. I don’t think we need much more of an introduction than that, so let’s get started! Before we begin with the actual illustration, however, let’s go ahead an establish some of the colours that we will be using. To do this, I started by going out to stock.xchng and finding a reasonable image of some toast, which we can use as a reference. 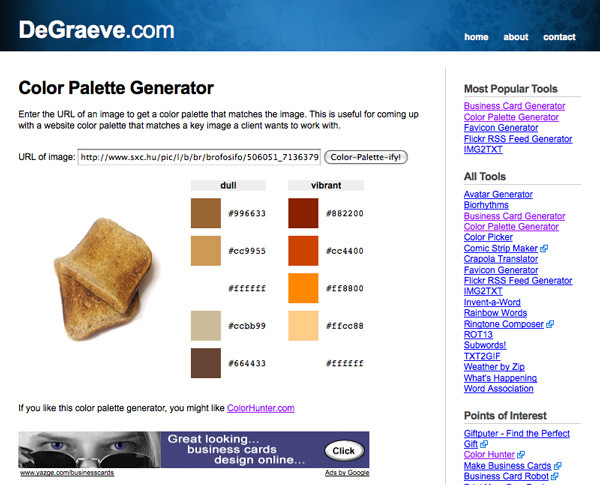 We can also use this image to select our main colours, using a tool like the Color Palette Generator over at DeGraeve.com. This tool allows us to input the URL of an image, and get two different colour palettes (dull and vibrant), extracted directly from the photo itself. 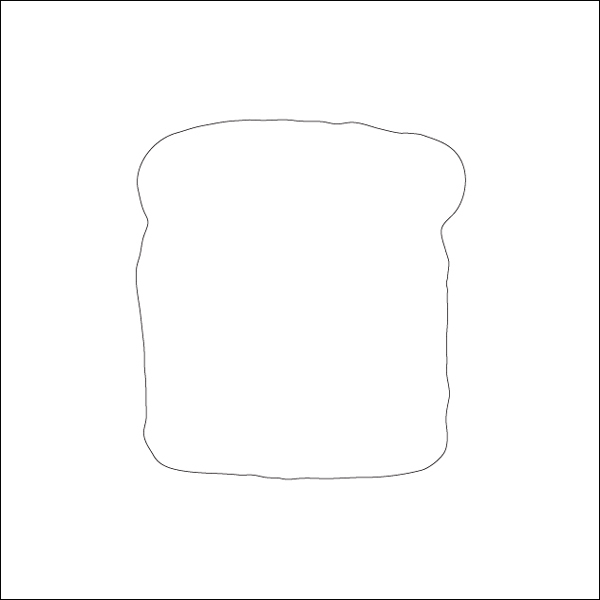 The URL for the toast image is: http://www.sxc.hu/pic/l/b/br/brofosifo/506051_71363796.jpg Go ahead and visit the Color Palette Generator and input the URL into the form field. Then, just press the aptly named Colour-Palette-ify button to generate two five-colour palettes based on the colours in the photograph. The first of the two palettes will be titled “dull” and features softer and more subdued colours. The second palette will be titled “vibrant” and features richer and brighter colours. For the purposes of this tutorial, we will be more interested in the dull palette, since the vibrant palette just seems a little too vibrant for a simple piece of toast! Whenever you create a new document in Illustrator, it is automatically populated with a variety of different swathes (unless you have changed your default). We rarely need most of these swatches (and we definitely won’t for this project), so you can just go ahead and delete them all. The simplest way to do this to click on the first swatch and then, holding the shift key, on the last swatch. This will select them all, and you can just drag them all to the trash can. Now, double click on the foreground colour to open up the colour picker dialog box. At the bottom of the box, enter the hexadecimal code for the first colour from the palette we generated in Step 1 (#996633). Press the OK button to set this as the foreground colour. Return to the swatches palette and press the New Swatch button to create a new swatch of that colour. Repeat this process for each of the five colours in our palette. 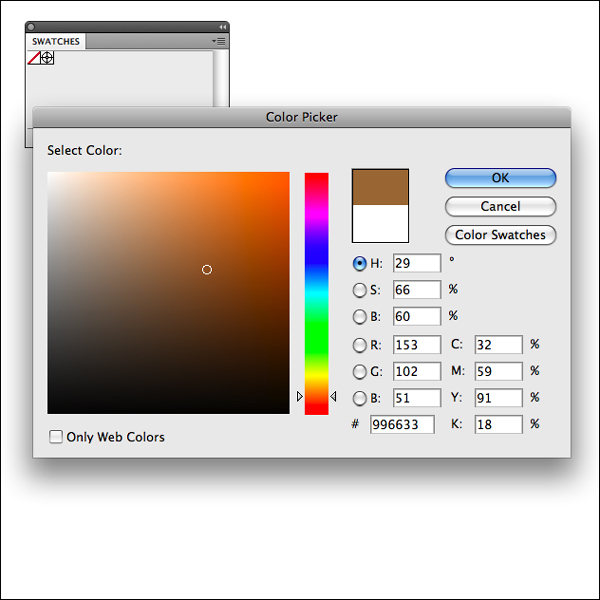 In the dialog box, I would recommend making sure that the document colour mode for the swatch is set to RGB, since this is the colour mode in which we will be working. This will give us a swatch palette that looks something like this. One thing that I would like to stress is not to put too much work into making nice, clean curves. Bread is not typically shaped perfectly, so the added bumps and undulations on this one will actually help to improve the overall effect. 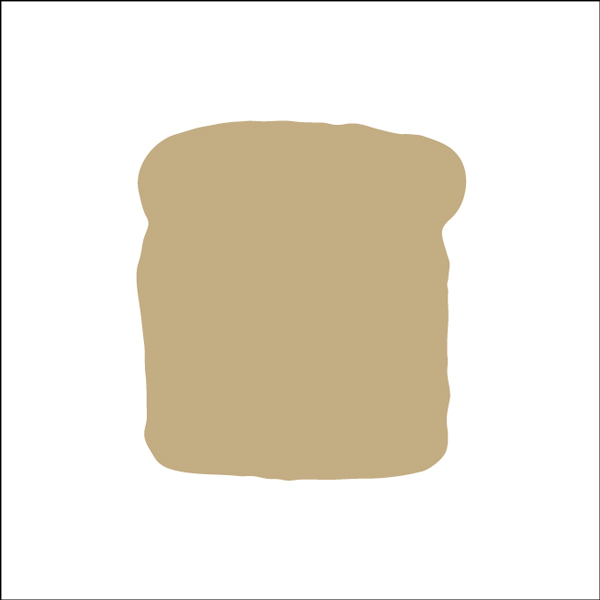 Next, remove the black stroke and fill in the piece of bread with the lightest colour of beige from our swatches palette. There are a few things to note in this dialog box. First, you will have to play with the rotation a bit, since the default settings are not exactly what we are looking for. You can actually just grab the cube in the circle and move and twist it in order to make adjustments. Or, you can be a little more precise and enter your own values. Now, this is a pretty good start, but so far the toast looks pretty flat and plastic-like. We want to add a bit of texture, and for this one step, we are going to want to flip over to Photoshop. First, though, we need to find a nice texture. I think that one of the secrets of effective texturing in various forms of illustration and design is to realize that you don’t always need to have a perfect replica of what you are trying to texture. 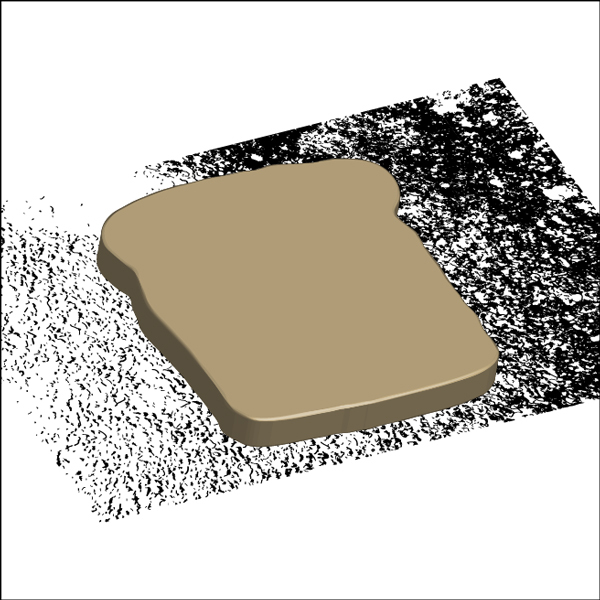 In other words, while I may be trying to create a texture for toast, I don’t actually need to have a “toast” texture. 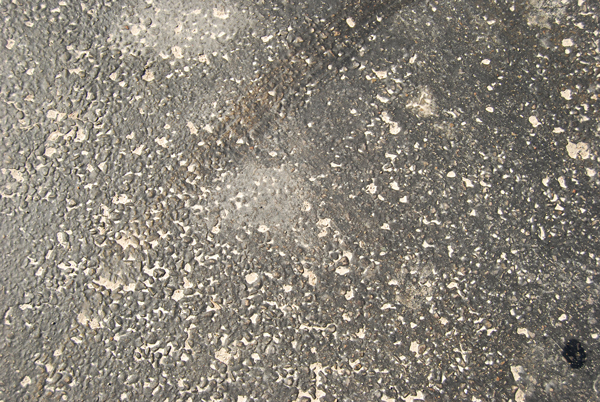 Instead, I am going to use this basic concrete texture, which you can download here. Using the 50% threshold option will help to make sure that the back areas are nice and filled in, rather than using other, duo-tone techniques to represent the black and white. The edited image will look something like this. Save the image as a simple Photoshop file and return to Illustrator. 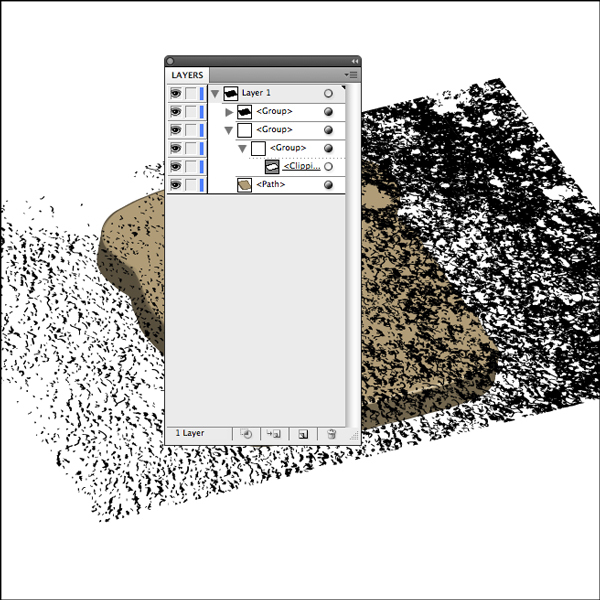 Select File » Place from the menu and navigate to the folder where you saved the texture file and select it. This will place the black and white texture directly into the Illustrator document. Notice that the white is already transparent. 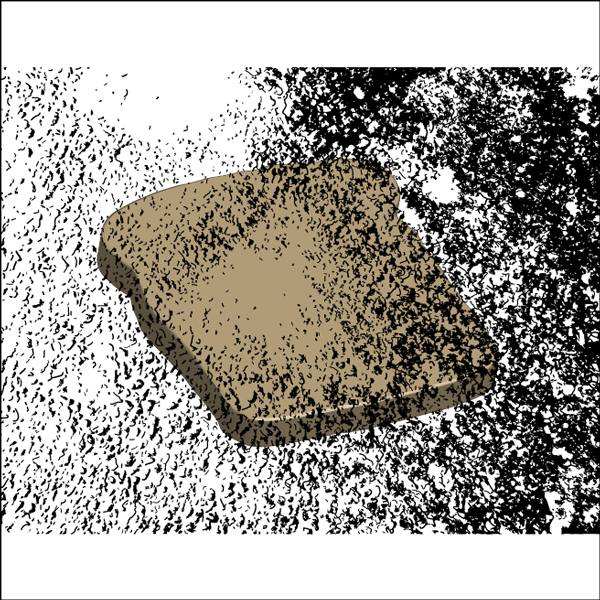 This appears to be an interesting side effect of the black and white bitmap mode, which very conveniently allows us to see the toast through the texture. Of course, we don’t want to be working with pixels here, so let’s vectorize the texture. Start by selecting it. When you do, a “Live Trace” button should appear in the option bar along the top of your screen. There should also be a tiny arrow beside this button. 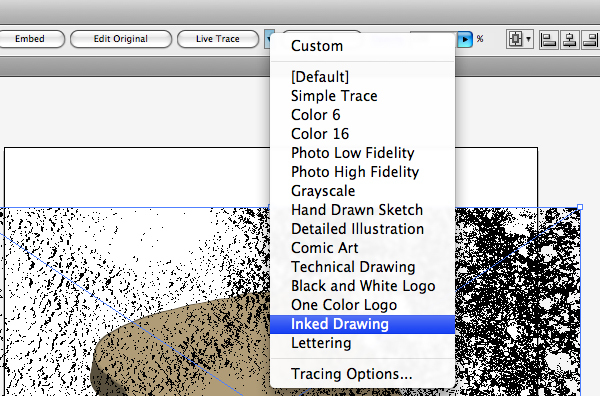 Clicking the arrow will cause a menu to drop down, allowing you to select the method you want to use for the trace. In this instance, we will use Inked Drawing. This will do an excellent job of tracking the basic shapes of the texture, without a great deal of added detail (which we don’t want). 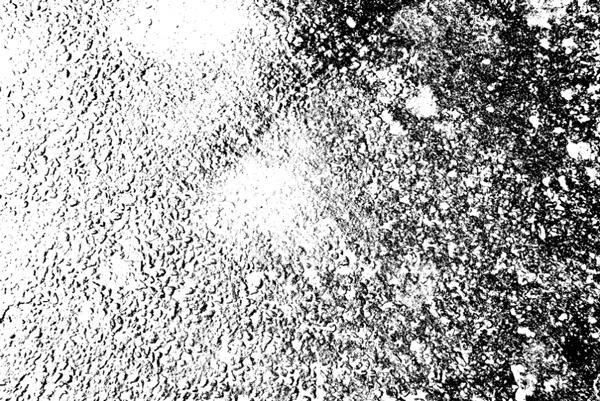 It will also only trace the black parts, and leave the “white” parts of the texture transparent. 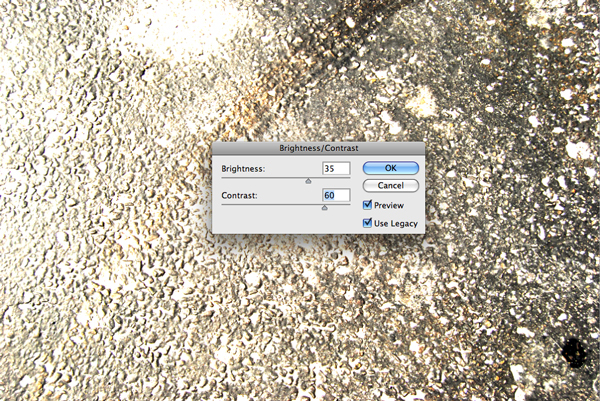 Once you’ve traced the texture, look at the option bar again and locate the “Expand” button. 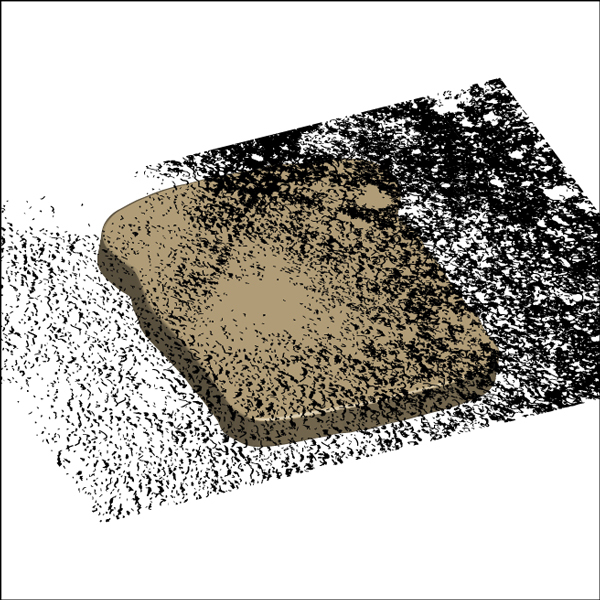 Press this to expand the texture from a Live Trace object to a simple collection of paths. 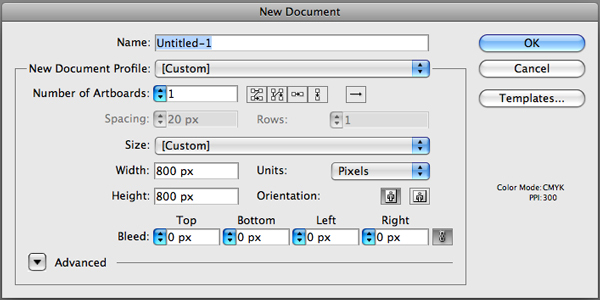 Next, select Object » Expand from the menu to expand both the fills and the strokes together. All we want here are paths. Finally, make sure that everything is still grouped together. 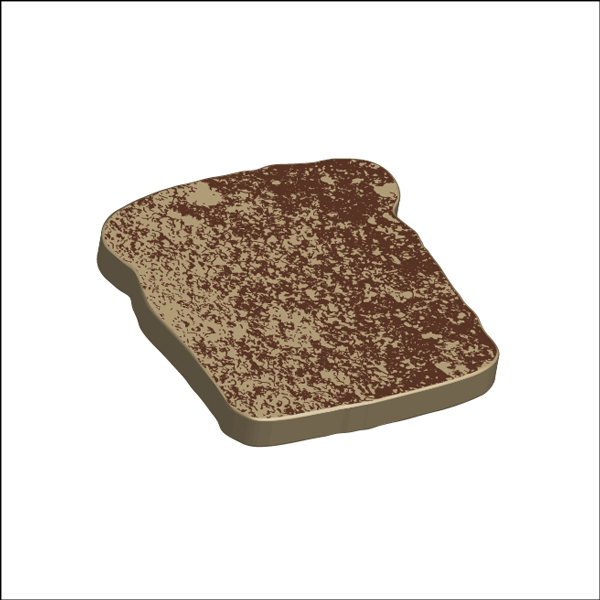 Alright, now that we have our texture vectorized, we want to add a bit of faked perspective, to help the texture map to the surface of the toast a bit better. To do this, select the texture and then choose Effect » 3D » Rotate from the menu. 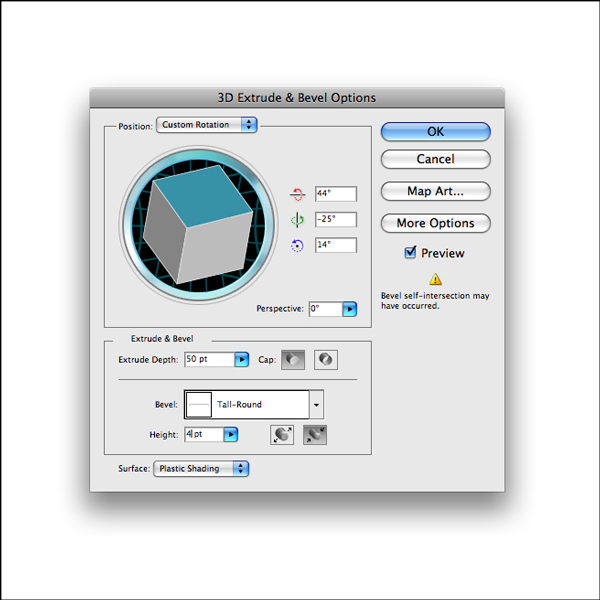 This will bring up a dialog box similar to the Extrude & Bevel box. 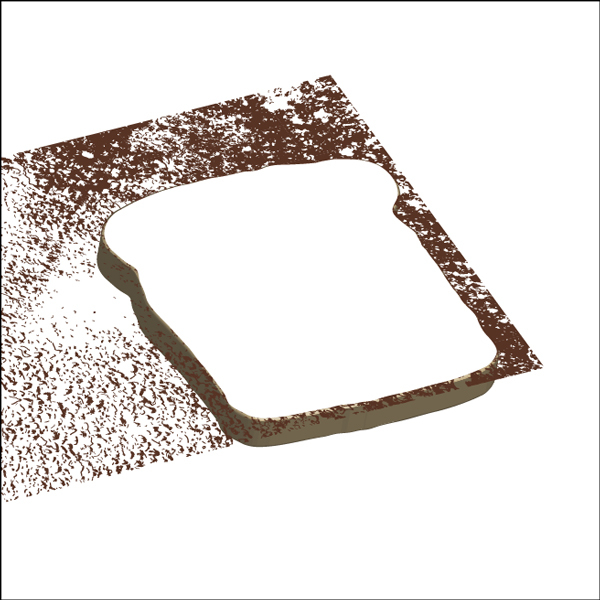 The trick here is to use the exact same 3D settings that we used to create our original toast shape. The transformation should look something like this. The angles don’t look quite right because our original shape for the toast was not perfectly rectangular. It’s pretty close though, and will work just fine! Once again, choose Object » Expand Appearance from the menu. This will permanently apply the 3D transformation to the texture, which will help with overall load times. Otherwise, the 3D effect will have to reapply itself every time we change something, which I promise would get quite tedious. Once you’ve done this, you can go ahead and delete the leftover, empty group, which contains nothing more than the unneeded clipping mask. 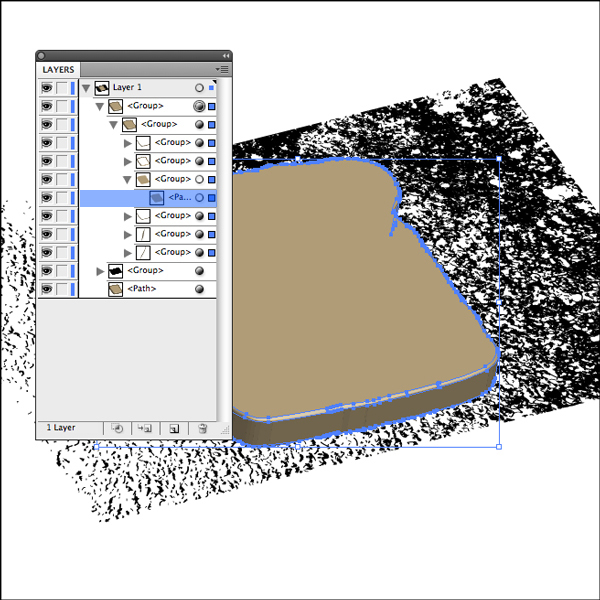 Open up the layers palette and duplicate our toast shape, then drag the duplicate above the texture. 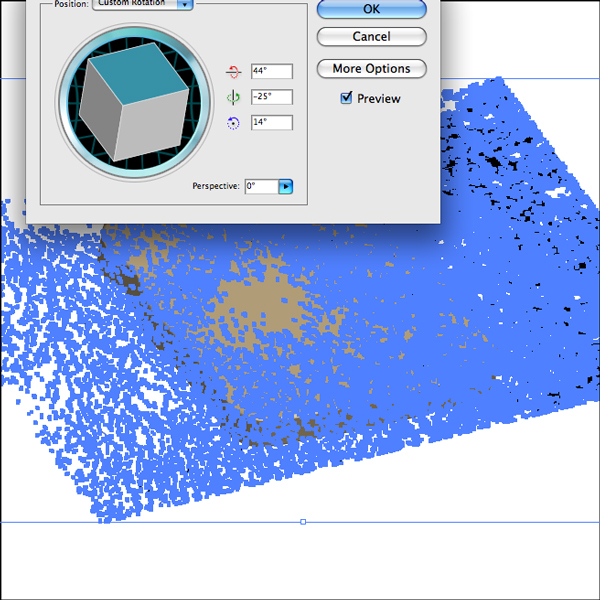 Drag the toast surface shape (highlighted in blue above) out of the group. Hide the rest of the expanded elements, which we will get to later. 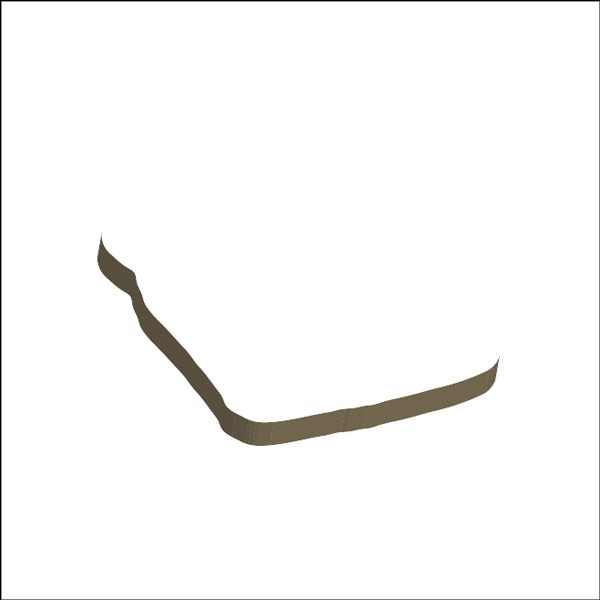 Select the surface shape and change the colour to white (which we need to create a transperancy mask in the next step). Now we are going to start giving the toast some depth. Select the texture layer and move it so that the bottom right corner is almost flush with the bottom right corner of the toast itself. Then set the colour to one of the darker shades from our swatches palette. Of course, we don’t want the texture going off the sides of the toast itself. This is where the white surface shape comes in. 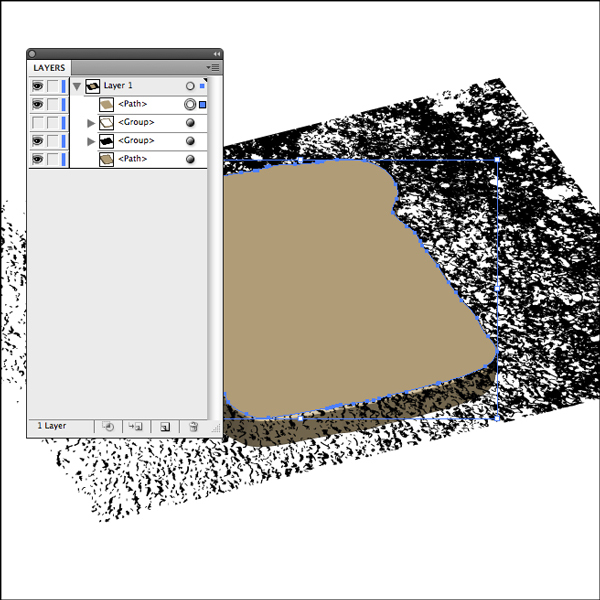 Select both it and the texture group, then bring up the Transparency Palette. 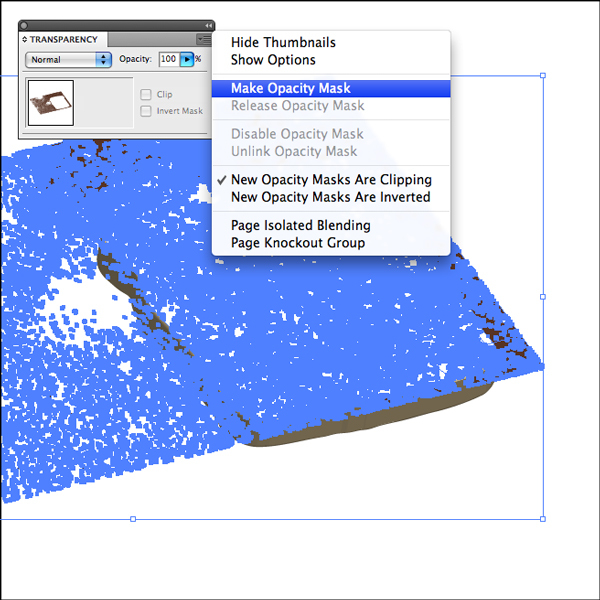 Open the fly out menu and select the Make Opacity Mask option. 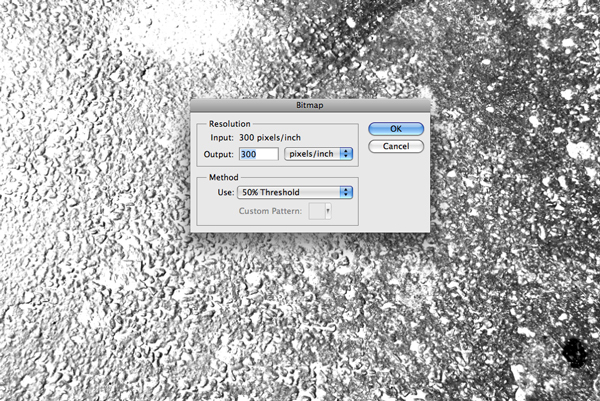 This will effectively crop the excess texture away. Repeat this process several times to increase depth. Also, make the top-most texture the same colour as the original, flat surface of the bread. This will help bring some of that colour back to the forefront and keep the toast from looking too dark. In this step, we are going to add a bit of extra shading along the curst of our piece of toast. To do this, we will go back to the hidden group that is still left over from expanding the duplicated 3D toast object in Step 9. If you expand the group, you will see that there are several different sub-groups. Ungroup the main object so that you can access each of these groups separately. We really only need a couple parts of the crust here. First, find the little sliver along far side of the toast. The following screenshot shows the exact sliver that you’re looking for, with everything else turned off. We’re almost done here. 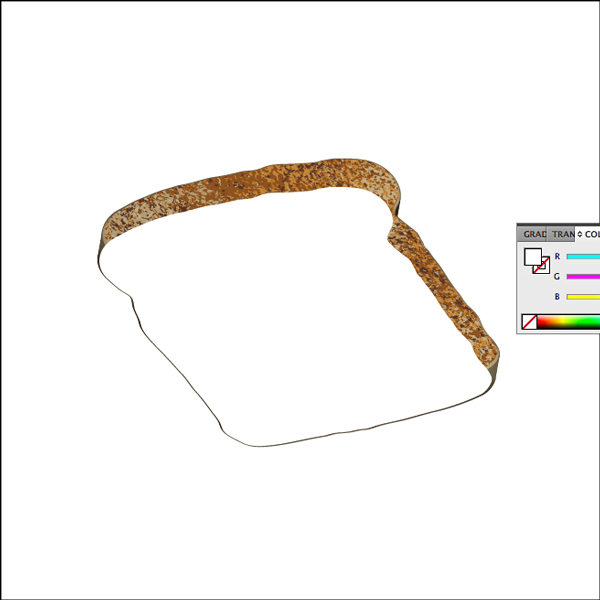 Next, duplicate the surface layer again, set the colour to white and drag it down so that it sits pretty much in line with where the bottom of the toast would be. Once you’re happy with the positioning, drag it down to the very bottom of the layer. 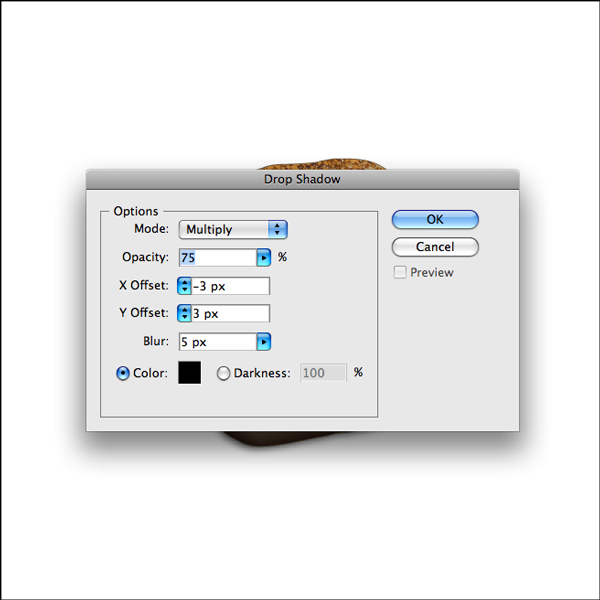 Select Effect » Stylize » Drop Shadow, and input the following options. This will add a nice shadow beneath our toast, and help give it some extra depth. Finally, we’ll add just a couple finishing touches. First, duplicate the surface layer again (this is the last time, I promise), and drag it to the top. If you duplicate the shadowed layer, delete the shadow from the Apperance palette. Next, remove the fill colour and set the stroke to the same lighter brown colour as the surface of the toast itself. Then, set the stroke to about 4 pixels. 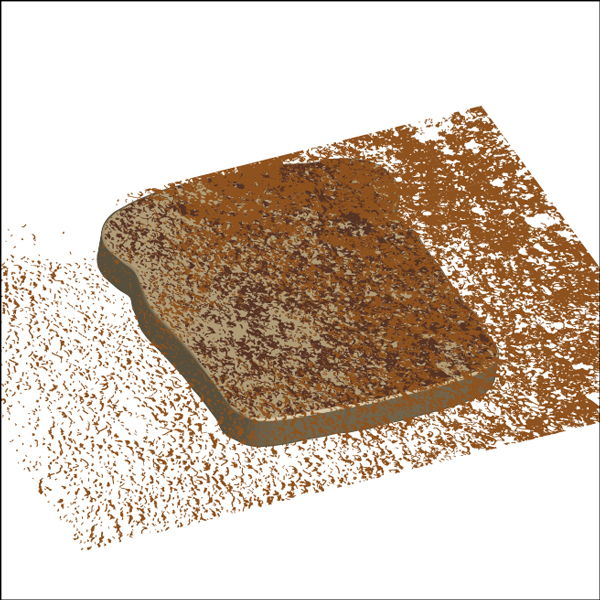 This will create a nice, extra line around the perimeter of the toast, creating a much needed visual break between the rough textures in the middle and the crust. To finish it off, just draw a few little crumbs around the piece of toast. These are really nothing more than a collection of rough edged little shapes that you can scatter across the edges of the toast. You can also add a really subtle drop shadow to complete the overall effect. So there you have it. 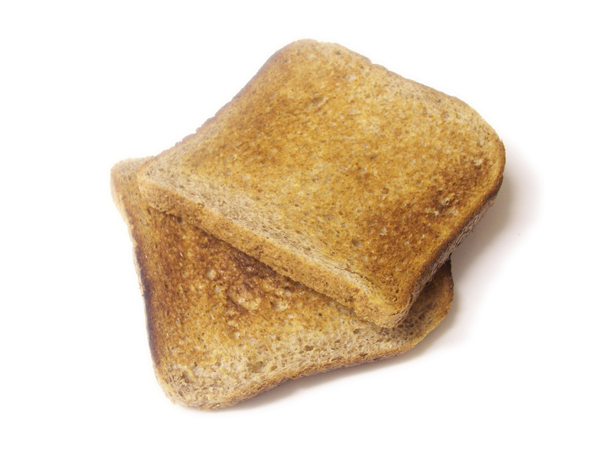 You can now make your own toast entirely in Illustrator. In conclusion, though, there are a couple things that I would really like to highlight about what we went over in this tutorial. First, using online tools like the Color Palette Generator can be incredibly useful for creating a colour scheme for an illustration like this based on a photograph. That gave us the basic colours that we needed, and we really didn’t stray all that much from those. Second, Illustrator’s 3D effects can be used for creating more than just boxes. Extrusions can actually produce some really interesting shapes, and I would encourage you to do some experimenting of your own in this area. 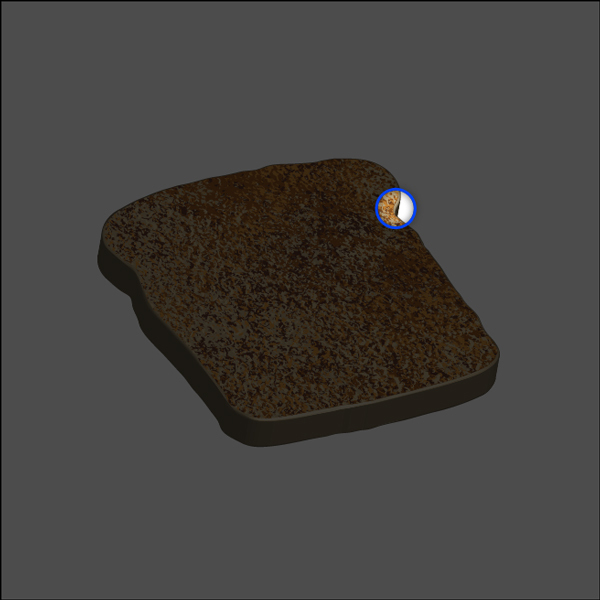 Third, the tutorial works to demonstrate the way that effective texture work is not necessarily a matter of mapping the exact type of texture we need. Instead, of trying to find the exact texture of what you are illustrating, expand your broaden your thinking and consider other types of textures that could be use to accomplish what you’re trying to do! So there you have it! I hope you enjoyed this tutorial. 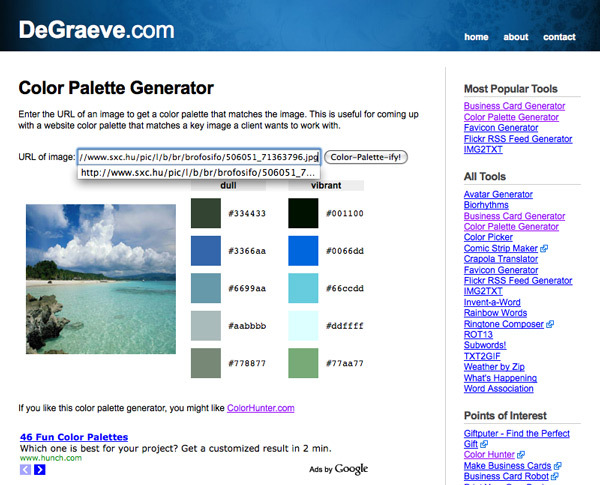 This entry was posted on Monday, March 15th, 2010 at 11:58 and is filed under Tutorials. You can follow any responses to this entry through the RSS 2.0 feed. You can leave a response, or trackback from your own site.